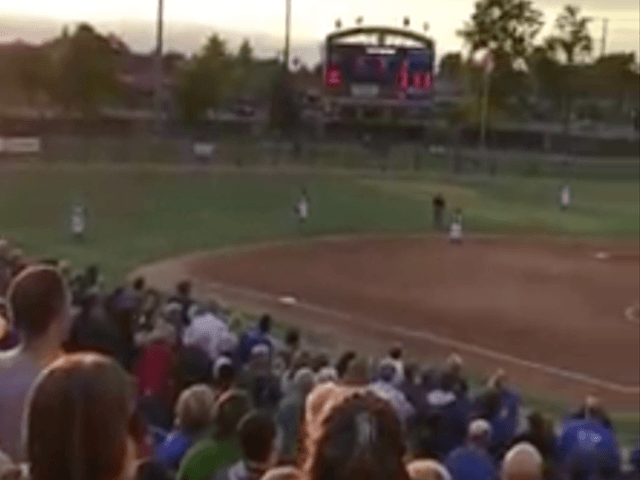 Before Clovis High played Buchanan Friday night for the Central Section softball championship, the announcer representing the section stated there wouldn’t be a national anthem prior to the game. Those in attendance at Fresno State’s Margie Wright Diamond weren’t having any of that. Players stopped their pregame warmups to turn around and face the American flag that waved beyond the center-field wall. According to the Bee, the game’s organizers acknowledged that they had made a mistake. Video of the anthem was posted to Facebook by fan Tiffany Marquez, according to CBS News. Clovis High School defeated Buchanan High School, 6-3, to win the championship.